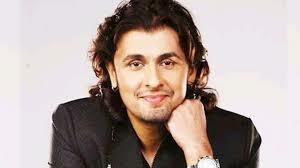 National Award-winning, Bollywood playback singer, Sonu Nigam is not only known for his singing skills but also his outspoken nature and controversial comments on socio-political issues. He says he cannot be dishonest about his opinions. "Look, opinion is like an a**hole, everyone has it. Some refuse to understand that. And the fact is honest opinion stinks, but that does not stop me to say it, why should I say something dishonest?" Sonu told . Whether it was making a comment about the need for mosques in India to use a loudspeaker for the Azaan or supporting one of his colleagues on the #MeToo movement by saying "he was accused without proof", Sonu often lands in controversies. "I keep music separate from politics, but I am a musician by profession who has an interest in world affairs and everything that is happening around us in the society. I read books, I interact with wise people who have in-depth knowledge of many things. So of course, if people and media ask me on things, I will react," said the singer, who delivered some superhit songs like "Sandese aate hai", "Suraj hua madham", "Saathiya", "Main hoon na", "Main agar kahoon" and "Abhi mujhme kahin". The singer has sung five ghazals in the upcoming "Royal Stag Barrel Select MTV Unplugged - Season 8". Instead of singing some of his own superhit songs, why did he perform some classic ghazals? The "Kal Ho Naa Ho" fame singer said: "I choose to do that and I had a thought behind it. "When it comes to the young generation, say my son's generation... They do not listen to ghazals the way we used to listen as kids. But these kids love to listen to my songs, somewhere they connect to me. So my idea was to bring back those songs to the new generation... Then as a singer, I feel I have contributed something." "It is a double-edged sword that way. But whenever we are doing any experimental work, few people will be for it, and few against it. Thousands of people have loved my songs, my unplugged version of songs... I cannot ignore the amount of love I receive from people just because some criticise. And of course, I ignore trolls. I believe that one should know where he/she is standing in life," he said. "When I finish recording a song, what matters to me is if I put out my honest effort to it because I am my own judge. I cannot be dishonest with my music... No, I can't. I see satisfaction and honesty in my eyes," he said. "Royal Stag Barrel Select MTV Unplugged - Season 8" will start from January 26.